After School Matters is excited to announce Steven Berry as our new Chief Development Officer. Steven comes to us after serving as Vice President for Development and Marketing at Merit School of Music. Since its founding in 1979, Merit School of Music has provided 50,000 young people with high-quality music instruction at little or no cost to their families. Merit is known for its strong curriculum, generous financial aid, sense of community and excellent instruction. During his time at Merit, Steven rebuilt the donor pipeline and created greater visibility and awareness for Merit’s programs. His team was responsible for ensuring nearly half of the organization’s annual operating budget. 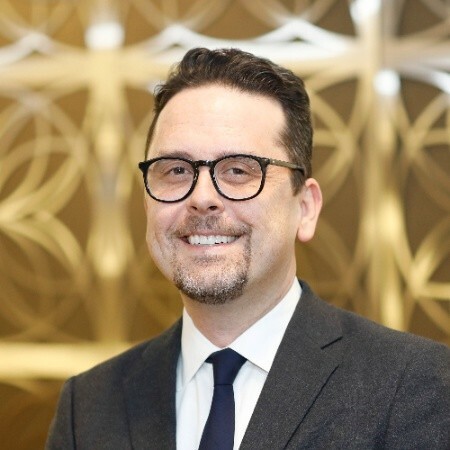 In 2018, Steven’s work helped secure a $3.5 million grant from the Andrew W. Mellon Foundation to fund the Chicago Musical Pathways Initiative (CMPI), a partnership between Merit School of Music, Chicago Youth Symphony Orchestras, Chicago High School for the Arts, Chicago Sinfonietta, Chicago Symphony Orchestra, DePaul University School of Music, and The Ravinia Festival. Prior to his time at Merit, Steven was Senior Director for Development at the Weill Hall at Green Music Center in Sonoma County, Director of Development and Interim Vice President for Museum Development at the Art Institute of Chicago, and Director of the Annual Fund at the University of Chicago Booth School of Business, among other positions. Steven is a graduate of the University of Dayton, where he earned a Bachelor of Arts in both History and Philosophy. For Steven’s or other staff’s contact information, please visit the Our People page. What was your favorite activity in high school? Music consumed most of my teen life. I started to play electric guitar in junior high and a few years later performed in band called Final Warning with my classmates. We even had our own theme song! Unfortunately Final Warning only lasted long enough for one gig at our local teen center but my musical obsessions carry on to this day. If you were a teen, what program would you join? While music played a big part in my teen life, I was also a budding visual artist. I loved to draw and paint in junior high as the result of a wonderfully inspirational art teacher. I’ve seen the art produced by After School Matters teens in our gift shop and on the walls at Gallery 37 Center for the Arts and I’m humbled by their talent. I would love to learn from them. I was a history major in college and I love Chicago’s rich history of interesting characters that have defined the city. What other city has had a group like Muddy Waters, Studs Terkel, Oprah, and Nelson Algren all call it home? Be patient. Be bold. Your years as a teen will fly by. What’s something you look forward to in your new role as Chief Development Officer? 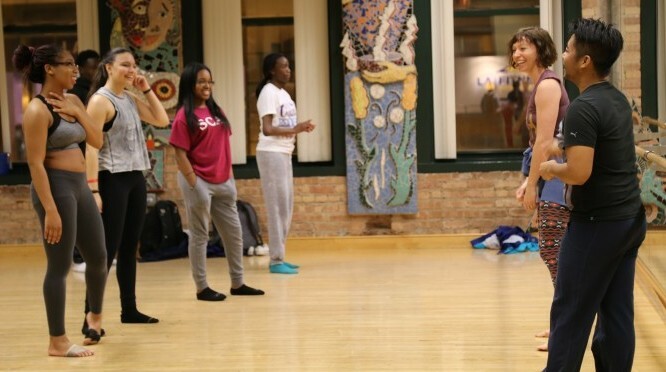 I’m excited to work with all the wonderful staff, instructors, donors, and volunteers to help advance After School Matters’ mission of providing thousands of Chicago teens life changing experiences. The incredible work that this organization is doing is awe-inspiring and I can’t wait to help.